Ending a marriage can be one of the most emotional and financially impactful decisions a person ever makes. 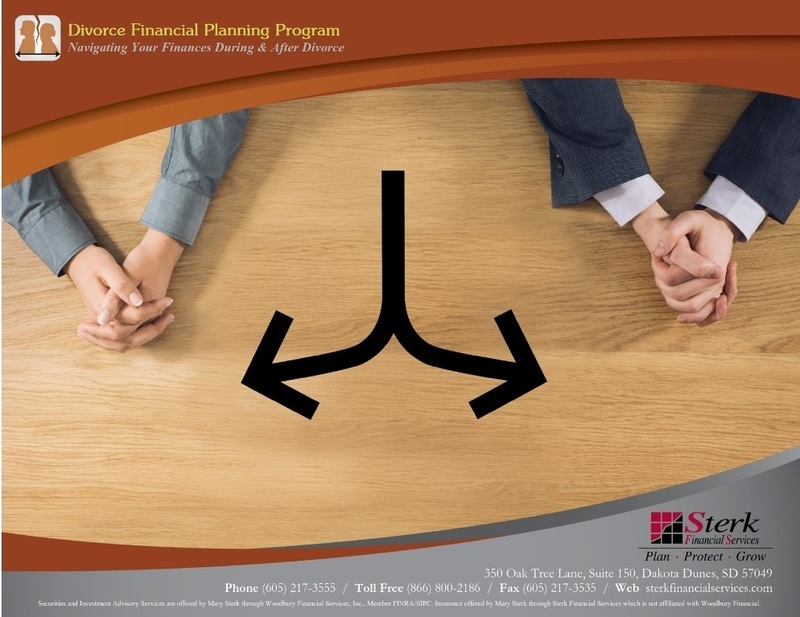 Our Divorce Financial Planning Program helps our clients navigate through the financial details and rebuild their lives during and after a divorce. We provide prudent and professional guidance throughout the entire process on a variety of topics, but most of all zeroing in on how to feel financially confident once the divorce is done. Let us show you what assets are better ones to negotiate for, how to keep your legal costs down, strategic ways to get your cash flow/alimony/child support in order, and how to align your finances with what matters most – both now and in the future. 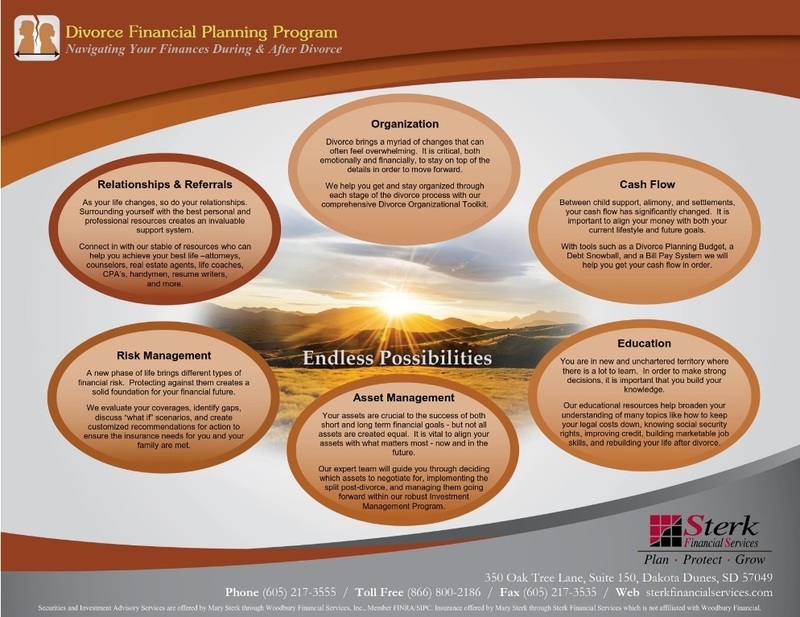 Our goal is simple – to help you move through a challenging transition and towards the best life possible. We will help you design a logical and thoughtful strategy amidst a difficult time so that you can create a future full of stability and possibility. Call us to learn how we take the complexity and uncertainty out of a divorce, and help create clarity and confidence as you move forward.